When a soldier comes back from war, they may not have any wounds on the inside, but there can plenty of damage on the inside. Many soldiers are coming back from their service to our country with wounds of another kind, wounds such as post traumatic stress disorder, anxiety, irritability, depression, insomnia, fatigue, paranoia, and so much more. And while these sorts of injuries can’t be cured overnight or with a simple pill or remedy, The Train a Dog Help a Warrior Project is doing the best it can to help. With this program, soldiers are matched up with highly trained dogs who have been taught to assist soldiers suffering from these sorts of injuries. The dogs help with stress reduction and offer companionship during this tough time. But the soldiers are not the only ones being helped. Many of the dogs in the Train a Dog Help a Warrior Project are themselves from rocky beginnings. Shelter outcasts or pound refugees, these dogs did not always have an easy life. Through this project, they too are given a second chance at life and a second chance to be loved. That is the beauty of this project: It is a partnership of two fragile beings who in the end, end up being a lifeline for each other. importantly, you can offer your own support for this program. Help create a partnership that will last a lifetime. 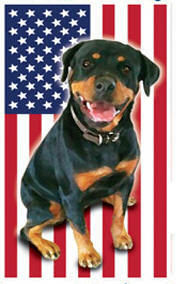 Check out The Train a Dog Help a Warrior Project and learn more about this great cause. Welcome to the new and improved Pet Bloggers Blog Hop the Original and longest running pet blog hop going strong since April 2010! This is is a weekly event to help you connect with other Pet Bloggers. Whether you are a seasoned blogger, one who loves reading pet blogs, or if you’re just thinking about starting your own blog – there is definitely something here for you. Acquaint yourself and enjoy – this is your resource, so use it as you see fit! You only need to add your link once to be seen on all the Pet Blogger Blog Hop Linky Tools for that week. If your blog is not pet related your link will be removed. Also note that only one post per blog is acceptable, and links promoting giveaways that are unrelated to the pet blogger hop will be removed. This is a weekly community building event and not a promotional vehicle. Grab the NEW “Pet Bloggers Blog Hop” button and include it in your Saturday Blog hop post so that your readers will know what is going on. Follow your co-hosts Of the Pet Bloggers Blog Hop listed in the first 3 slots of the Linky Tool. Following could mean via Facebook, Twitter, Pinterest, their daily newsletter, or any other place they happen to be interacting on the web. Take a moment to comment on the other blogs that are linking for the Pet Bloggers Blog Hop telling them you’re visiting from the blog hop. Make friends learn new things watch awesome animal videos and grow your blog. Thanks for hostin’ another great Saturday Blog Hop…and for featuring a favorite organization of ours!